Kyivan Mohyla Academy ( Kyievo-Mohylianska akademiia). 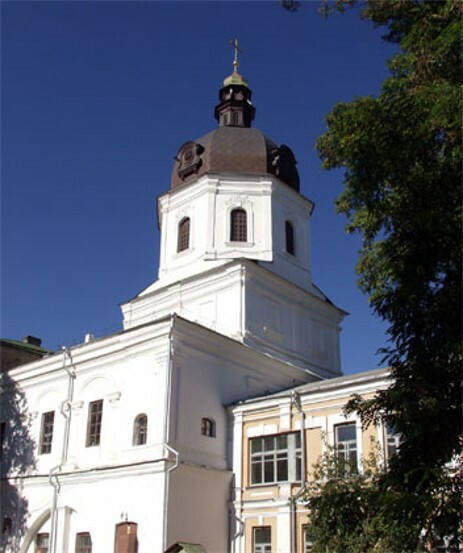 The leading center of higher education in 17th- and 18th-century Ukraine, which exerted a significant intellectual influence over the entire Orthodox world at the time. Established in 1632 by Petro Mohyla through the merger of the Kyiv Epiphany Brotherhood School (est 1615–16) with the Kyivan Cave Monastery School (est 1631 by Mohyla), the new school was conceived by its founder as an academy, ie, an institution of higher learning offering philosophy and theology courses and supervising a network of secondary schools. Completing the Orthodox school system, it was to compete on an equal footing with Polish academies run by the Jesuits. 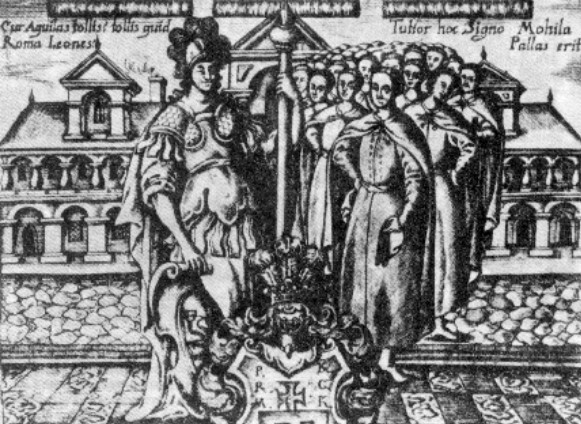 Fearing such competition, King Władysław IV Vasa granted the school the status of a mere college or secondary school, and prohibited it from teaching philosophy and theology. 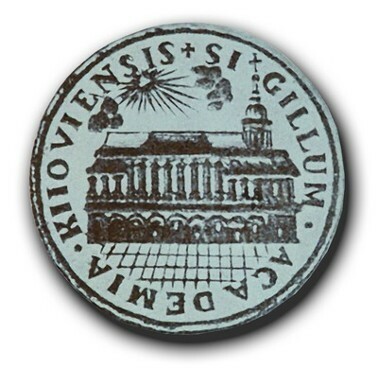 It was only in 1694 that the Kyivan Mohyla College (Collegium Kijoviense Mohileanum) was granted the full privileges of an academy, and only in 1701 that it was recognized officially as an academy by Peter I. In founding the school, Petro Mohyla's purpose was to master the intellectual skills and learning of contemporary Europe and to apply them to the defense of the Orthodox faith. Taking his most dangerous adversary as the model, he adopted the organizational structure, the teaching methods, and the curriculum of the Jesuit schools. Unlike other Orthodox schools, which emphasized Church Slavonic and Greek, Mohyla's college gave primacy to Latin and Polish. This change was a victory for the more progressive churchmen, who appreciated the political and intellectual importance of these languages. Church Slavonic, the sacral language, and Ruthenian, the literary language of Ukrainians and Belarusians closest to the vernacular, continued to be taught, while Greek was relegated to a secondary place. The undergraduate program, based on the liberal arts, was designed to develop the basic skills of public speaking rather than to pass on a body of knowledge, and was organized into five grades. The three lower grades were essentially grammarian. They were preceded by an introductory grade, analog or fara, devoted to reading and writing and elementary Latin, Polish, and Slavonic. The first grade, infima, provided an introduction to Latin grammar based on E. Álvarez's De Institutione Grammatica Libri Tres, the standard textbook adopted by the Jesuits. In the next grade, grammatica, Álvarez continued to be used for Latin syntax, readings from Cicero and Ovid were analyzed, and Greek grammar was introduced. In the syntaxis grade Álvarez was completed and Greek continued to be studied. Besides Ovid and Cicero, some works by Catullus, Virgil, Tibullus, and Aesop were read. Each grade required a year to complete and included some instruction in catechism, arithmetic, music, and painting. The intermediate level consisted of two grades, in which students began to compose Latin prose and verse. The first, poetica, took one year and provided a grounding in the theory and practice of literature, and a close study of the writings of Caesar, Sallust, Livy, Curtius, Martial, Virgil, and Horace. Polish Renaissance and baroque poetry (Jan Kochanowski, Samuel Twardowski) and, later in the century, some Ukrainian poetry (Ivan Velychkovsky) were also read. The two-year rhetorica grade completed the secondary-school program. Cicero and Aristotle's Poetics were studied in the course of mastering the rules of elegant composition. In both grades students absorbed much prose and verse information on secular and biblical history, mythology, and classical geography for the purpose of rhetoric, not of knowledge. Kyivan instructors, like the instructors of Polish and other European schools, prepared their own Latin manuals of poetics and rhetoric. Approximately 120 17th- and 18th-century manuals have survived, including Teofan Prokopovych's De Arte Poetica Libri III (1705) and De Arte Rhetorica Libri X (1706). The remarkable efflorescence of Ukrainian baroque literature was closely connected with the school's philological program. Higher education consisted of a three-year philosophy program that paved the way to four years of theology. In spite of the king's prohibition, some course in philosophy was usually taught, and in 1642–6 a theology course was offered. In the mid-1680s a full philosophy and theology program was given a permanent place in the curriculum. Logic, physics, and metaphysics were the main parts of the philosophy program. The philosophy manuals prepared by the school's professors, of which about 80 have survived, show that there was no uniform system of thought, but that each course reflected the preferences and abilities of the instructor. The basically Aristotelian philosophy taught in the school was derived not from Aristotle himself but from his medieval interpreters and was supplemented with doctrines from Saint Augustine, Saint Thomas Aquinas, Duns Scotus, and William of Ockham, humanists such as L. Valla, L. Vives, and D. Erasmus and the Protestant scholar P. Melanchthon, and the Jesuits F. Suárez, P. da Fonseca, and L. de Molina. At the beginning of the 18th century Teofan Prokopovych showed an interest in R. Descartes and F. Bacon. From the middle of the 18th century on orders from the Holy Synod the academy adopted C. Wolff's philosophy. The theological courses at the academy consisted of commentaries on Catholic theologians such as R. Bellarmine, F. Suárez, T. González, and the Polish Jesuit T. Młodzianowski. In method, if not in content, they were very Thomistic. The only attempt to work out an independent theological system was Petro Mohyla's Pravoslavnoe ispovedanie ... (Orthodox Confession ..., 1640). From its beginnings, the academy had close ties with the Cossack starshyna, which provided it with moral and material support. 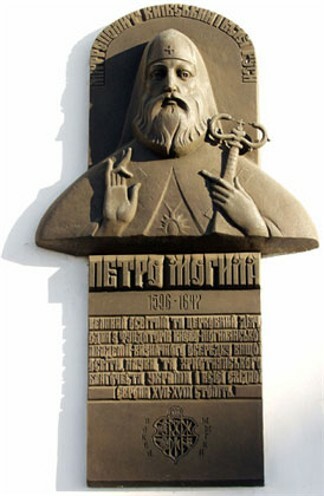 Hetman Ivan Petrazhytsky-Kulaha approved Petro Mohyla's plans for the new school in 1632 and granted it a charter. The school, in turn, educated the succeeding generation of the service elite. In the 1640s, when the Orthodox hierarchy sided with the Polish Crown against the rebellious Cossacks, Cossack sons continued to attend the college. Among them were the future hetmans Ivan Vyhovsky, Ivan Samoilovych, Pavlo Teteria, Ivan Mazepa, and Pavlo Polubotok. 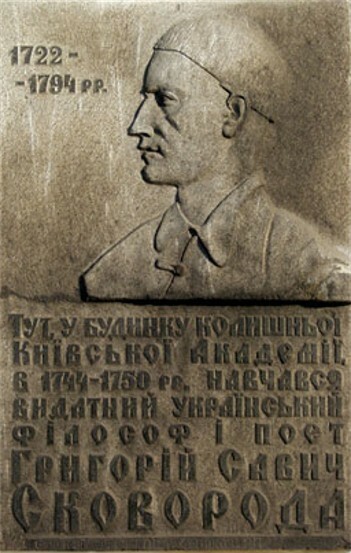 Bohdan Khmelnytsky established the tradition of hetman grants in money, lands, and privileges to the college. The Kyiv clergy's opposition to the Pereiaslav Treaty of 1654 severely strained their relation with the Cossacks. During the Cossack-Polish War (1648–57) and the Ruin period (1657–87), the activities of the college were severely disrupted. Its buildings and property were looted and destroyed several times by Muscovite and Polish armies. The strong Hetman state that emerged in Left-Bank Ukraine after the Ruin period provided favorable conditions for the college's growth. Supported generously by Hetman Samoilovych (1672–87), the school began to flourish towards the end of his rule, and during Hetman Mazepa's reign (1687–1709), enjoyed its golden age. The enrollment at the time exceeded 2,000. Some of the students, including S. Maksymovych, O. Turansky, and A. Runovsky, later gained prominence as Cossack officers. Many of the most accomplished Ukrainian authors and churchmen of the time served on the school's faculty: Lazar Baranovych, Ioan Maksymovych, Dymytrii Tuptalo, Stefan Yavorsky, and Teofan Prokopovych. Some of them played instrumental roles in Peter I's educational reforms in Russia. 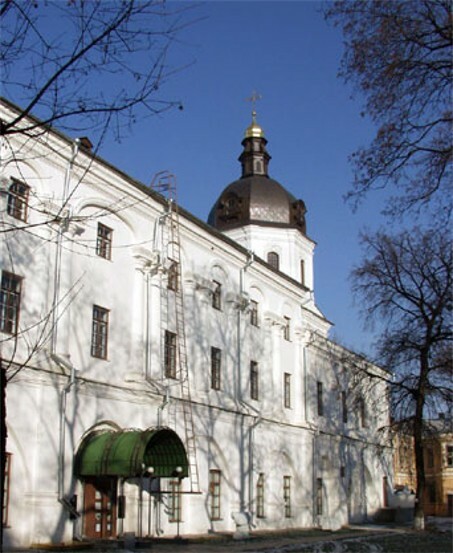 The Moscow academy was patterned after the Kyivan one and numerous Russian schools were organized by bishops who were graduates of the Kyiv academy. Open to young men from all social strata, the academy attracted students from various regions of the Orthodox world. Some of its graduates, Ukrainian or foreign, continued their studies in Polish or European academies and universities, and returned home to weave Kyivan and European thought patterns into their native tradition. At the same time, Moscow's expanding political power and increasing interference in Ukrainian affairs threatened the academy's freedom and well-being. Gaining control of Kyiv metropoly in 1686, the Patriarch of Moscow attempted to end the intellectual influence of Kyiv on Muscovite society by placing almost all Kyiv publications on an index of heretical books. It was forbidden to print books in Ruthenian. Although in 1693 Patriarch Adrian eased the linguistic restrictions, Ukrainian books were denied entry into Muscovy. The academy's golden age came to an abrupt end with Ivan Mazepa's defeat at the Battle of Poltava in 1709. The school's properties were plundered by Russian troops. Students from Right-Bank Ukraine, which was under Polish rule, were no longer admitted. By 1711 the enrollment fell to 161. Graduates of the academy were encouraged to seek positions in Moscow or Saint Petersburg. Peter I's ban on Ruthenian publications and religious texts in the Ukrainian recension of Church Slavonic was a heavy blow to the academy. After Peter I's death, Ivan Mazepa's endowments were returned to the academy. Thanks to the support of Hetman Danylo Apostol and the administrative talents of Metropolitan Rafail Zaborovsky (1731–42), the school revived. New courses in modern languages, history and mathematics, medicine, and geography were added to its curriculum. The enrollment rose steadily from 490 in 1738–9 to 1,110 in 1744–5. Graduates were encouraged to complete their education in European universities and many sons of wealthy Cossack families studied abroad. The academy continued to educate the civil and ecclesiastical elite of the Hetman state and the Russian Empire. Catherine II's abolition of the Hetmanate in 1764 and secularization of the monasteries in 1786 deprived the academy of its chief sources of financial support. The school became a ward of the Russian imperial government and its importance declined rapidly. By the end of the century it was reduced to an eparchial seminary. In 1811, 1,069 of its 1,198 students were candidates for the priesthood. 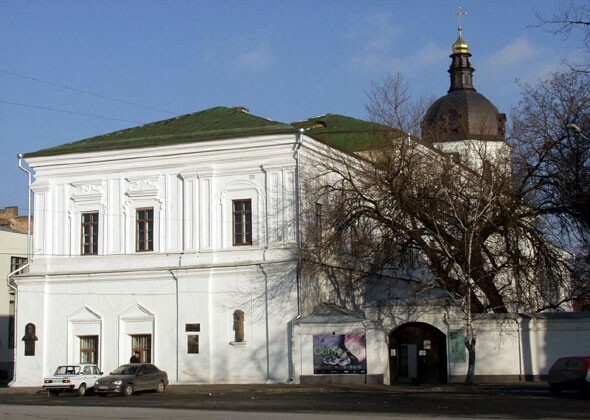 In 1817 the academy was closed down, and two years later the Kyiv Theological Academy was opened in its place. 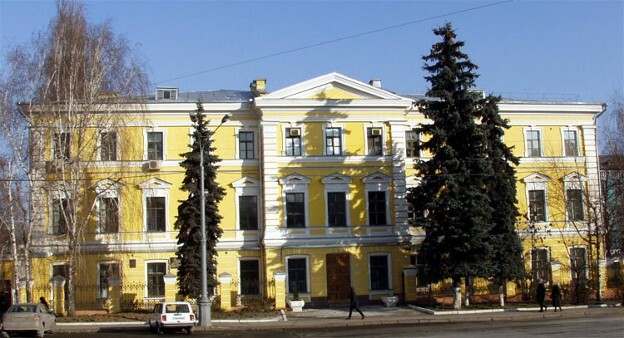 In 1991 the Academy was formally revived as a national university and in 1992 it opened its doors to students on its historic campus (see Kyiv Mohyla Academy National University). The academy's adaptation of European education was largely conditioned by the social and religious demands of early 17th-century Ukrainian society. Hardly touched by the Renaissance and Reformation movements, it placed little value on the vernacular Ukrainian language and felt no need for a secular culture. It defined itself mostly in religious terms and, therefore, made the preservation of the Orthodox faith its primary concern. By arming the Ukrainian members of the leading estates in the Polish Commonwealth with the languages and intellectual tools of the dominant culture, the academy fulfilled the demands placed on it by society. Accustomed to a defensive, conservative posture, the intellectual elite nurtured by the academy failed to capitalize on the new opportunities offered by the Hetman state. In the 18th century the academy adjusted itself as best it could to the increasing restrictions placed on it by an alien church hierarchy and imperial power. Its literary and scholarly achievement had a decisive impact on the development of Ukrainian culture and provided a firm foundation for later accomplishments.